Fellowship Previews: SHADOWMAN Strikes Again in "OPERATION: DEADSIDE" – A Four-Part Event Storyline Beginning in NINJAK #10 by Matt Kindt & Doug Braithwaite! SHADOWMAN Strikes Again in "OPERATION: DEADSIDE" – A Four-Part Event Storyline Beginning in NINJAK #10 by Matt Kindt & Doug Braithwaite! As revealed today at Entertainment Weekly, Valiant is proud to announce "OPERATION: DEADSIDE" – a special four-part event storyline beginning this December in NINJAK #10! Jump on board here as New York Times best-selling writer Matt Kindt (DIVINITY) and superstar artist Doug Braithwaite (ARMOR HUNTERS) – the chart-topping creative team behind the sold-out debut of UNITY – reunite to collide NINJAK with SHADOWMAN for a terrifying descent into an unknown and uncharted plane of existence! As an extra-added bonus, the first 40-page chapter of "OPERATION: DEADSIDE" will also feature enhanced GLOW-IN-THE-DARK shelf covers by artists Doug Braithwaite (UNITY), Tom Muller(Wolf), and Trevor Hairsine (DIVINITY)! Then look for new GLOW-IN-THE-DARK covers from Valiant's top talents each month as "OPERATION: DEADSIDE" continues in the pages of NINJAK's acclaimed ongoing series! "I’ve been excited to bring Shadowman back for a while… He’s got a pretty dark past and some murky motivations that help him live up to his name," said "OPERATION: DEADSIDE" writer Matt Kindt told Entertainment Weekly. "As a writer, it’s some pretty juicy stuff to sink your teeth into. I also think that reader anticipation and curiosity over the character is another thing that really makes him attractive… So picking up a character like that and catching up with where he is and what he’s done since is going to be pretty dark...and pretty fun." "We're incredibly excited to be bringing Shadowman back to the forefront and thrilled to be doing it with Matt, Doug and Ninjak," said Valiant CEO & Chief Creative Officer Dinesh Shamdasani. 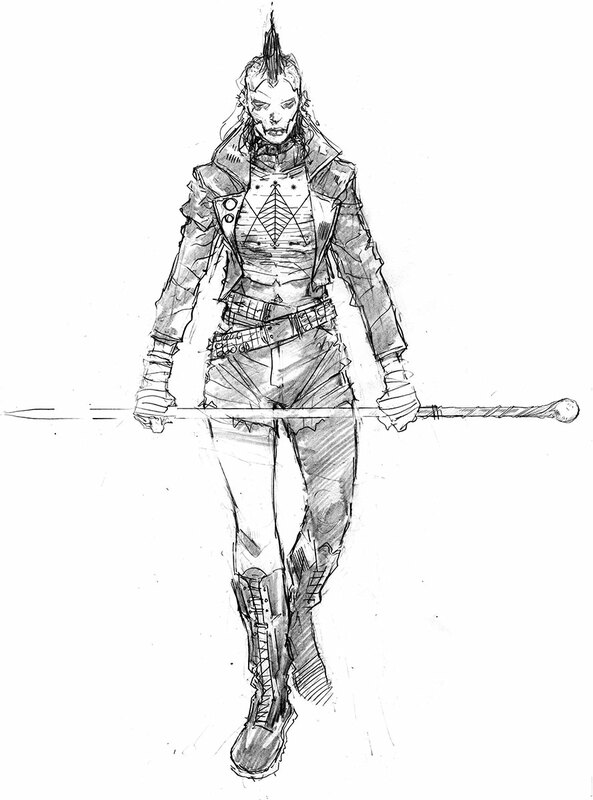 "The fans have been screaming for Shadowman to return. The last time they saw him we left them with an emotional cliffhanger. We've been slowly laying the seeds for his big return and I can't think of a cooler, more exciting way to reveal what he's been up to." In 2015, a covert military intelligence unit sent a team of 20 agents and one special operative into a parallel dimension. Only one came back. 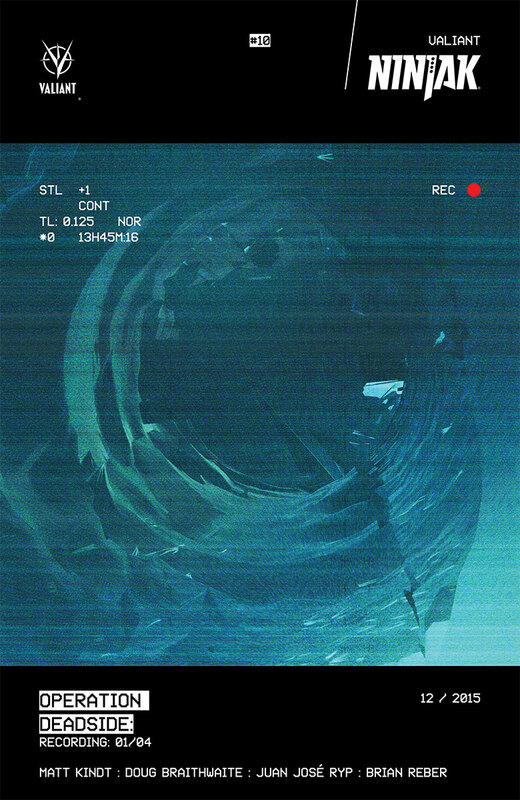 The purpose of their mission was classified. Now, out of options, MI-6 has recruited their most elite operative - codname: NINJAK – to follow the doomed mission's sole witness – the mysterious occult specialist PUNK MAMBO – back into the dimension called Deadside…and bring her missing teammates home. What will they find there? And who will be waiting for them? 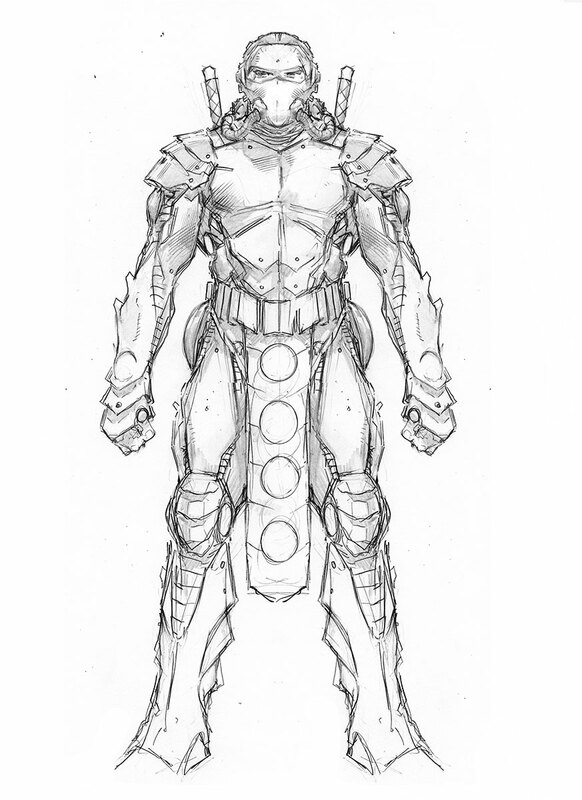 "Over the past year, Matt has built an intrigue-laden master plan for Ninjak, and many of the threads he's set up – the secret of Ninjak's training, the revelation of the Shadow Seven's identities, and the fallout of 'THE SHADOW WARS' – will converge in 'OPERATION: DEADSIDE,'" said Valiant Editor-in-Chief Warren Simons. "At the heart of it, 'OPERATION: DEADSIDE' is the story of a mission gone horribly wrong and what happens when someone who under any other circumstances would be considered a master of his element finds himself washed up – figuratively and literally – in a new environment that quickly outmatches the abilities of his mind and body. 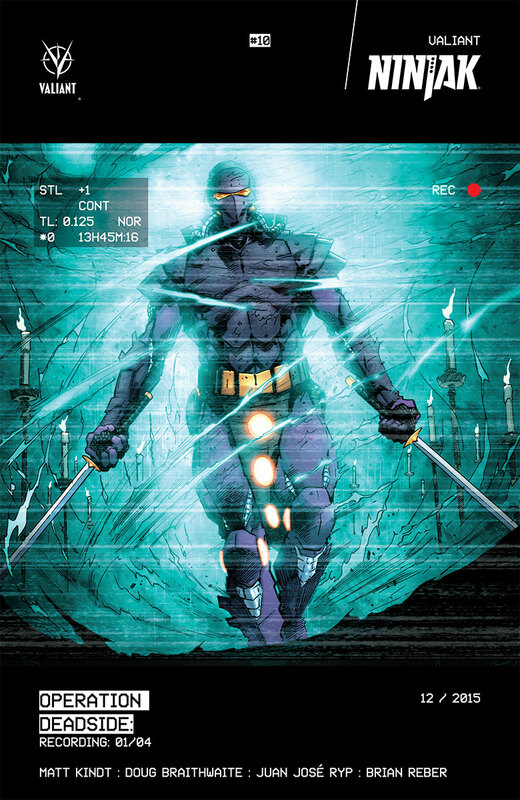 This is a tale of survival…and Ninjak is going to have to adapt quickly to what Deadside has in store to discover what secrets it has been hiding all along." This December, master storytellers Matt Kindt and Doug Braithwaite bring SHADOWMAN roaring back from the darkness – and into the crosshairs of MI-6's deadliest master assassin – in "OPERATION: DEADSIDE", a horrifying new sci-fi action epic beginning in NINJAK #10! 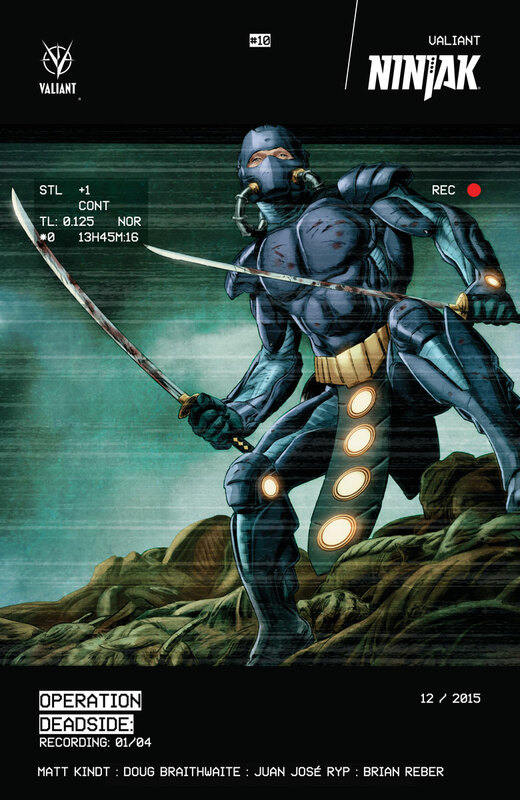 Plus: also beginning in the 40-page first issue of "OPERATION: DEADSIDE", Matt Kindt begins an all-new chapter of NINJAK's never-before-told origin in "THE LOST FILES", featuring explosive artwork by Juan José Ryp (Clone)! And don't miss all of the GLOW-IN-THE-DARK shelf covers for "OPERATION: DEADSIDE" from artists Doug Braithwaite, Tom Muller, and Trevor Hairsine – on shelves everywhere for the first chapter of Valiant's next can't-miss milestone, only in NINJAK #10! Visit Entertainment Weekly now for a full-length "OPERATION: DEADSIDE" Q&A with writer Matt Kindt, artist Doug Braithwaite, Valiant Editor-in Chief Warren Simons, and Valiant CEO & Chief Creative Officer Dinesh Shamdasani.